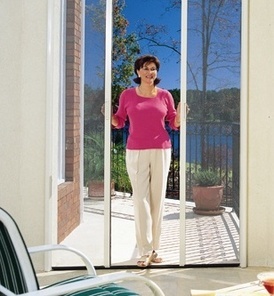 Circulate fresh air and keep out insects without spoiling your view with a Phantom retractable door or window screen. Phantom Screens provide an innovative way to circulate fresh air whilst enhancing privacy and protecting from insects and harmful UV sun rays. Open your windows to let the fresh air in but protect your furnisings from harmful UV rays by using a Phantom screen. The door screens are engineered to smoothly retract into a cassette out of sight when not in use and are at home in any setting. 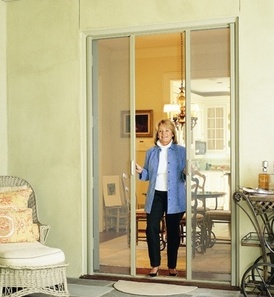 Their subtle styling makes them ideal for sliding, in-swing, out-swing and double French doors. The retractable window screens are suited to most window applications, including in-swing, out-swing, casement, sliding and tilt and turn windows. With features such as a sophisticated mesh retention system, sturdy yet sleek design and unlimited colour options our screens are so discreet they won't spoil your view or your home's styling.